Irwin Kremen (1925- ), a native of Chicago, began his liberal education at Northwestern University in 1945, and in 1946 was admitted to study writing at Black Mountain College. After earning a bachelor's degree at the New School for Social Research, he moved into the field of clinical psychology, trained at Harvard University (PhD, 1961), and joined the faculty of Duke University in 1963. In 1966 Dr. Kremen began making the collages, constructions, and paintings that are comprised in the body of his work. This collection includes printed catalogs and exhibition brochures, many illustrated and some in color, which accompanied exhibitions of Dr. Kremen's work. It also contains autographed covers, associated materials, Barbara H. Kremen materials, and proof sheets. Arranged into series by subject matter or type of material. Series include: The Re'eh Series, 1985-1991; Autographed Exhibition Catalogs, 1966-2000; Autographed Covers, 1980-1998; Associated Material, 2000; Barbara H. Kremen Material, 1966-1985; Autographed Proof Sheets, 1996. Processed by George Stevenson, January, 1995; March, 1998; July, 1999; December, 2001. Encoded by Ashley Yandle, May, 2002; March, 2007. Irwin Kremen (1925- ), a native of Chicago, commenced his liberal education at Northwestern University in 1945, and in 1946 was admitted to study writing at Black Mountain College. After taking his bachelor's degree at the New School for Social Research, he moved into the field of clinical psychology, trained at Harvard University (PhD, 1961), and joined the faculty of Duke University in 1963. In 1966 Dr. Kremen began making the collages, constructions, and paintings that are comprised in the body of his work. [Identification of item], PC.1824, Irwin Kremen Exhibition Catalogs, State Archives of North Carolina, Western Regional Archives, Asheville, NC, USA. Gift of Dr. Kremen, Dept. of Psychology, Duke University, Durham, N.C., 1980, 1985; 1993; 1994; 1995; 1997; 1998; 2001. During March-April, 2012, these records were moved from the State Archives building in Raleigh to the Western Regional Archives, Asheville, N.C.
Black Mountain College Records, 1933-1956, Western Regional Archives, Asheville, N.C. This collection of catalogs to accompany exhibitions of Dr. Kremen's work is divided into five groups. The first includes the un-autographed catalogs for The Re'eh Series of collages memorializing the victims of the Holocaust, especially the Jews. The second group includes the autographed catalogs commencing with a 1978 exhibition of Dr. Kremen's collages. The third group includes autographed publications the covers of which are illustrated with one of Dr. Kremen's works. The fourth group includes works by Mrs. Kremen, and the fifth, oversized proof sheets illustrating his. Holocaust, Jewish (1939-1945), and art. Exhibition checklist in the form of an unillustrated brochure. Exhibition held at Allentown Art Museum, Pennsylvania, Oct. 31 - Nov. 7, 1985. The Re'eh Series [by] Irwin Kremen 1990, Wichita Art Museum. Illus. (col.), fold-out illus. (col.), 3-10p. Exhibition held at Wichita Art Museum, Jan. 14 - Feb. 25, 1990. Exhibition folder, illus. (b&w), with checklist. Exhibitions held at Ackland Art Museum, Univ. 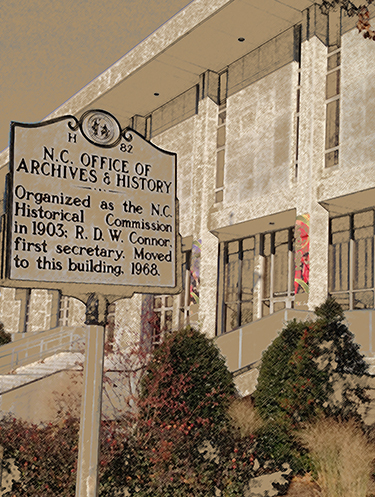 of N.C. at Chapel Hill, Sept. 22 - Nov. 24, 1991; and at Archer M. Huntington Art Gallery, Univ. of Texas at Austin, April 3 - May 10, 1992. The Re'eh Series: Collages by Irwin Kremen in Memory of the Victims of the Holocaust, Durham, NC: c. 1987 , by Irwin Kremen. Essay and catalog for exhibition at Telfair Museum of Art, September 14 - November 18, 1999. Includes folding program for the comprehensive program of exhibitions, lectures, concerts, dances, readings, and events associated with the Museum's program, "Witness and Legacy: Contemporary Art About the Holocaust". Collages by Irwin Kremen, pub. for National Collection of Fine Arts by the Smithsonian Institution Press, Washington, . Exhibitions at the Brooklyn Museum, New York, March 15-May 14, 1985; Albright-Knox Art Gallery, Buffalo, N.Y., June 4-July 28, 1985; Rose Art Museum, Brandeis University, Waltham, Mass., Sept. 8-Oct. 27, 1985; Allentown Art Museum, Pennsylvania, Nov. 10, 1985-Jan. 5, 1986. In Plain View. The Collages of Irwin Kremen organized by J. Richard Gruber [and] William Heidrich, with an essay by Irwin Kremen by Memphis Brooks Museum of Art. Exhibition at Memphis Brooks Museum of Art, Sept. 27-Nov. 5, 1987.
per se: Collages & Other Works [by] Irwin Kremen, The University of Illinois at Chicago; 1988, illustrations and I & K: The Third Dialogue-a Reminiscence, by Irwin Kremen. Exhibition at Gallery 400, University of Illinois at Chicago, Feb. 17 --March 19, 1988. The Reva K. Series & Other Works [by] Irwin Kremen by The Temple Gallery; and The Reva K. Series, 1988 by Irwin Kremen. 16p. illus. (b&w), illus. cover (col.), port. Exhibition at the Temple Gallery, Tyler School of Art, Temple University, May 13-June 11, 1988. From the 2nd Decade: Collages by Irwin Kremen, 1979-1989</title>. ©, Southeastern Center for Contemporary Art; and Out of the Cookie Box into the Frame c. 1989 by Irwin Kremen. 11p., illus. (col.) on cover and p.7, port., inserted Sculpture Checklist. Exhibitions at Marion Koogler McNay Art Museum, San Antonio, Texas, Oct. 8-Nov. 26, 1989; Wichita Art Museum, Kansas, Jan. 14-Feb. 25, 1990; Southeastern Center for Contemporary Art, Winston-Salem, N.C., May 5-July 15, 1990. From the 2nd Decade: Sculptures by Irwin Kremen, 1979-1989 Wichita Art Museum, by Irwin Kremen. Exhibition at Wichita Art Museum, Jan. 14-Feb. 25, 1990. The Art of Irwin Kremen, Introduction by Richard Shiff. [Durham]: Duke University Museum of Art, . 26p. illus. (col. and b&w), port. Exhibitions at Duke University Museum of Art, Nov. 16-Dec. 30, 1990; Toyama Citizens' Plaza, Inc., Toyama, Japan, April 10-May 6, 1991.
trifold, 8 1/2 x 33.
trifold, 11 x 15 1/2. illus. (b&w). Exhibition at Rose Art Museum, Brandeis University, Waltham, Mass., Sept. 8-Oct. 27, 1985. C#: Collage & Sculpture by Irwin Kremen, Organized by Green Hill Center for North Carolina Art, Greensboro, N.C. . 28p., illus. (col.), port. (b&w). Contains essays, "Thirty Years of Play Against a Darker Ground: Notes on Irwin Kremen and His Art," by Tom Patterson; "I & K: The Fourth Dialogue [for Barbara]," by Irwin Kremen. (Exhibitions at Green Hill Center for North Carolina Art, Greensboro, N.C., Sept. 8-Oct. 27, 1996; Sheldon Memorial Art Gallery and Sculpture Garden, Univ. of Nebraska-Lincoln, Dec. 10, 1996-Feb. 9, 1997; The Arkansas Arts Center, Little Rock, Ark., May 2-June 20, 1997; Contemporary Arts Center, Little Rock, Ark., May 2-June 20, 1997; Contemporary Arts Center, New Orleans, La., Oct. 4-Nov. 16, 1997.) NOTE: printer's color proofs of catalog plates are double folio in size and are maintained separately in a flat file map case. Illus. with color reproduction of "As Such." Works, Vol.2, Issue 6 by Arkansas Art Center. Announcing forthcoming exhibition of C#: Collage & Sculpture by Irwin Kremen, May 2-June 20, 1997. Folding brochures announcing forthcoming exhibitions at the Contemporary Arts Center, New Orleans, including C#: Collage & Sculpture by Irwin Kremen Oct. 4-Nov. 16, 1997. Exhibitions in the exchange included Irwin Kremen's The Re'eh Series on exhibition Sept. 8-Oct. 27, 1996, at the Green Hill Center for North Carolina Art, Greensboro. High C: Collages by Irwin Kremen, The Figure You & Clouds: Monotypes by Wendy Mark, ACA Galleries, New York . Invitation to opening reception for an exhibition to run from September 10 to October 3, 1998, at the ACA Galleries, 41 East 57th Street, New York. In addition to the autographed copy, there is a second copy mailed to the Archives by the gallery. Seescape: Collages by Irwin Kremen. Materials relating to an exhibition at the Mississippi Museum of Art, October 24, 1998, to January 17, 1999. (a) Illustrated folder with biographical information, introductory statement by Irwin Kremen, and exhibition checklist; (b) small trifold mailer announcing forthcoming exhibitions at the Mississippi Museum of Art, including Seescape; (c) November/December 1998 issue of the museum's newsletter, Museum Matters, illustrated by a photograph of the collage "Reclaim, 1969/1989/1993." Autographed postcard announcing Spring Group Show, May 17-June 26, 1999 (including works by Irwin Kremen) from ACA Galleries, 41 East 57th Street, New York. Michigan Avenue Galleries, Chicago Cultural Center. Illustrated trifold brochure on forthcoming exhibitions, including As Such: Collage and Sculpture by Irwin Kremen, 1975-2000, to be on exhibit from May 13 to July 9, 2000. Also included in the May 2000 issue of the Chicago Cultural Center's Calender of Events, as well as a xerox copy of a brief review of Dr. Kremen's work at the Chicago exhibition by Garrett Holg. Cover illustrated with color reproduction of the collage entitled "still i(x)" from the Reva K. Series. Inside and outside back cover illustrated with collages by Irwin Kremen. Text in Russian. The Eighteenth Annual Sam Ragan Fine Arts Awards, September 24, 1998, St. Andrew's Presbyterian College, Laurinburg, North Carolina. (a) Invitation to the awards ceremony; (b) program for the awards ceremony. Essay on Irwin Kremen and his art. Northwestern University, Mary & Leigh Block Museum of Art. Sculpture at the Block Museum of Art [Evanston, Ill: 2000]. Out of [poems by] Barbara Kremen. Lucini, Italy: printed by Officina e'Arte Grafica, . Limited to 300 numbered copies of which this is no.9. Published in Saint Andrew's Review, no.28 (1985), "Black Mountain Issue."